NMPC apologises for any inconvenience caused by the presence of the material. 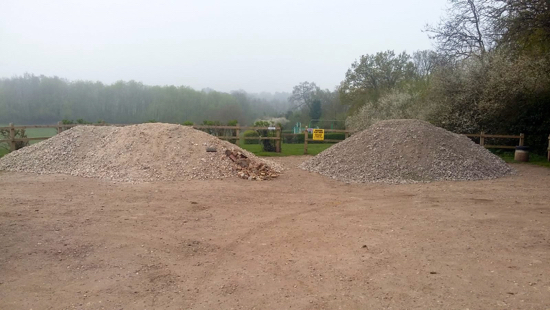 The council told this site that the local authority was made aware of the material only after it had been dumped, and confirmed that permission had not been requested from NMPC. It’s understood the materials will be there for up to two weeks, making parking difficult over the usually busy Easter weekend. A spokesperson for NMPC has contacted the chair of the fishing club. The parish council has requested that the fishing club also considers the safety issues and takes action. 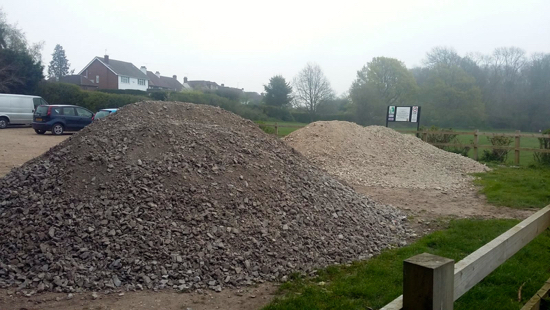 “We have asked as a matter of urgency that the area is safely fenced off with warning signs attached, a proper safe pathway is made to access the play area directly from the car park and that the materials are removed as soon as possible”. This site is trying to find contact details for North Mymms Fishing Club for a comment. If anyone from the club would like to get in touch, please use the contact form at the bottom right of any page.